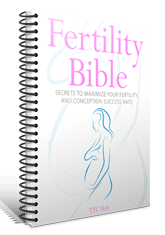 Having a baby and starting a family is a joyous, momentous occasion – but if you are struggling to conceive it can seem like a moment that is very far away. 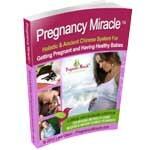 You want to welcome new life into the world, but after so many failed attempts it’s easy to become frustrated. 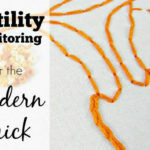 Fortunately, there are a few things that you can try which might help to improve your fertility. One of those things is Myo-Inositol, which is a small molecule that is similar in structure to glucose. It is a carbohydrate and it is found often in fruits, especially oranges and cantaloupes1. It can also be found in seeds, nuts and beans or it can be taken in a powder supplement form. It is involved in cellular signalling and it plays a role in cell growth. Cell signalling is how each different cell in your body knows what to do in different situations. Many studies have found that higher levels of this supplement in the follicular fluid can be linked to better egg quality2. Let’s take a look at myo-inositol and what it can do for you. 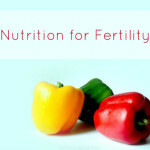 Myo-inositol shows a considerable amount of potential as a dietary supplement for promoting female fertility. 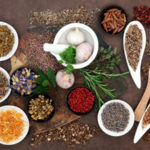 Also, it can help the body to restore insulin sensitivity and reduce anxiety – improving overall health. Because it has such a good effect on insulin resistance and fertility, it is considered a good treatment for PCOS in women. 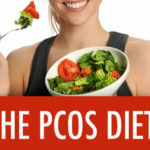 For women who have PCOS, aka Polycystic ovary syndrome, this supplement appears to improve insulin sensitivity. If you are diagnosed with PCOS, this means that the insulin resistance and the increased levels of insulin in the body that result are the primary reson why the syndrome develops. 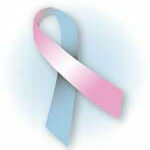 The ovaries will be producing too much tesosterone due to the increased insulin. 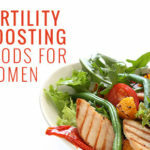 When there is high insulin in the body as well as high testosterone, this will stop the natural development of the ovarian follicles and cause issues with ovulation and poor egg quality. Due to its popularity for treating PCOS and fertility in women, myo-inositol is sometimes referred to as a general female health supplement. In fact, sometimes the anti-depressant effects the supplement provides seem to only work in females – with no effect on males. One of the great things about this supplement is that it also helps with mood disorders such as panic, depression and OCD – which is great if you are struggling to conceive and also suffering psychologically. It is simple to incorporate myo-inosital into your diet. You can purchase it at most health food stores as a powder, which you can dissolve into a glass of water. It will have a mildly sweet taste and won’t be too difficult to drink. You can also purchase this supplement from Amazon here. There should be no negative effects to taking it daily, but it is recommended that you consult your doctor to determine the right amount of myo-inositol for you.